Bringing Closure to the 9/11 Pentagon Debate? John D. Wyndham, founding member Scientists for 9/11 Truth, claims to bring closure to the 9/11 Pentagon debate. 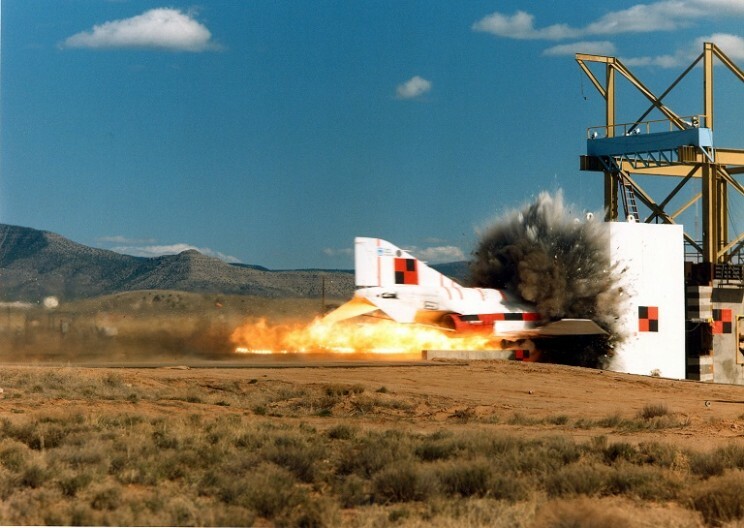 A decisive test of Dr. Wyndham's hypothesis is the Sandia National Laboratories' F-4 Phantom jet crash test. Many physical hypotheses can be tested by experiment in a laboratory using relatively simple equipment. In the case of the Pentagon 9/11 event, costs to test and/or reproduce some features of the event would be prohibitive. Fortunately, there are prior relevant tests, airplane incidents and other evidence that are pertinent to the event and that support the large plane impact hypothesis [sic]. The F4 Experiment: In the F4 Phantom jet experiment, a plane was propelled at high speed on a rocket sled into a massive and impenetrable concrete wall. The plane was completely fragmented into small pieces. This experiment supports the fragmentation of the Boeing 757 plane parts that did not enter the building. The F-4 test aimed to investigate the impact of a jet on a wall of reinforced concrete 7 meters (23 ft) square and 3.66 meters (12 ft) thick representing a containment building at a nuclear power station -- not the outer wall of the Pentagon. For the F-4 test: "The aircraft was accelerated on a 600m (2000ft) long two-rail rocket sled until a constant velocity of 215 m/sec (480mph) was reached. . . . The concrete block weighed . . . approximately 25 times the weight of the impacting F-4 Phantom aircraft." 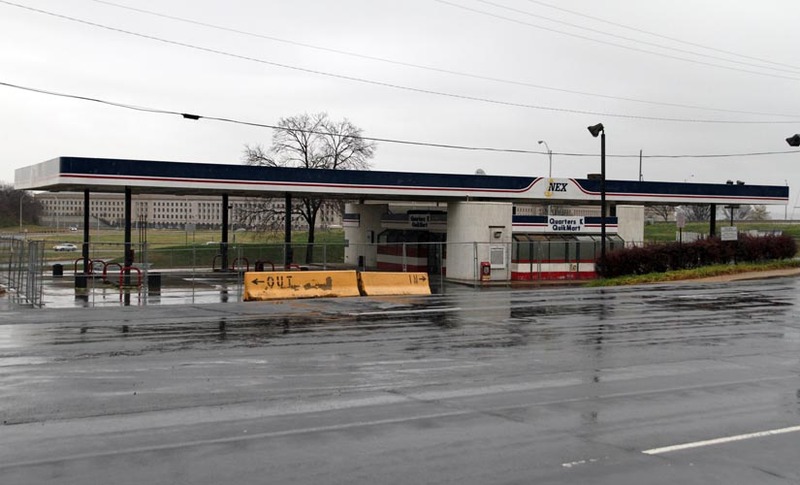 According to the Pentagon Building Performance Report (page 6): "The perimeter exterior walls of [the Pentagon's] Ring E are faced in limestone and backed with unreinforced brick infilled in the concrete frame. Nearly all remaining exterior walls are 10 in. concrete." Dr. Wyndham and his colleagues have written: "The Pentagon west wall, two feet thick at Wedge 1, had recently been reinforced to consist, starting at the outside, of 6 inches of Indiana limestone, 8 inches of bricks, and 10 inches of concrete with steel and Kevlar mesh." Dr. Wyndham may not have correctly described how Kevlar was used in construction of the Pentagon outer wall. According to Architecture Week: "A Kevlar cloth stretched between the steel tubes prevented debris from becoming shrapnel during the explosion [sic]." Kevlar was used to catch debris. It did not add to the strength of the wall. The F-4 test results are neither consistent with the internal column damage shown in the Pentagon Building Performance Report (Figures 6.2 through 6.6), nor do they explain how the plane is blown to pieces yet creates the damage shown in the Pentagon Building Performance Report (Figure 7.9). While there is some debate about the conclusions to be drawn from the Sandia test, clearly, neither the Pentagon wall described in the Pentagon Building Performance Report, nor that described by Dr. Wyndham and his colleagues, has a fraction of the structural strength of a containment building at a nuclear power station. By assuming that the F-4 test represents the behavior of a Boeing 757 striking the Pentagon, Dr. Wyndham appears to have skipped a necessary step: model validation -- a crucial step in the modeling process that requires "[i]nferences made in establishing the model are checked by observing if the model behaves as expected" (Simulation and Modeling, Prentice Hall, 1969). Dr. Wyndham also does not address many relevant issues discussed in my March 7, 2005 and September 11, 2008 articles, and in great detail by Pilots for 9/11 Truth. For example: Hani Hanjour could not have flown the Boeing 757 in a spiral turn from 7000 feet to level out and strike the Pentagon. There's no verification or simulation of the Flight Data Recorder data. The assumed flight path apparently ignores the actual terrain which slopes down from the communications tower over the Navy Annex, electric power lines, and the gas station to the Pentagon. Evidence in Pentagon transcripts and the testimony of FMFD Unit 161 is ignored. FBI evidence contradicting the Solicitor General's account of conversations with his wife on Flight 77 is ignored. Transportation Secretary Mineta's testimony is ignored. Washington Post article showing "50 FBI officers . . . picking up debris" (instead of preserving the crime scene) is ignored. Serial numbers on "AA Flight 77" parts are not matched to plane logs. Eyewitnesses cited are neither named nor vetted. More credible witnesses are ignored. The assertion by Dr. Wyndham, Scientists for 9/11 Truth, that Sandia National Laboratories' F-4 Phantom jet crash test represents what happened at the Pentagon on September 11, 2001 is utter nonsense.